JF Publishing is all set to release "The Golden Lands," one of the comprehensively packaged six book series in September 2014. Kowloon, Hong Kong S.A.R. -- JF Publishing is all ready to launch ‘The Golden Lands’, the first ever art historical survey focusing comprehensively on the Architecture of the Buddhist World. It is written by noted architect and scholar Vikram Lall and is the first book in the six book series. This book is set to enlighten and inspire readers across the world, thanks to extensive new photography and groundbreaking survey work contributing to architectural diagrams about the ancient Buddhist architecture. It promises to take its readers with the countless architectural forms across the regions of Southeast Asia, through well illustrated, perfectly colored photography and 3-D renderings. The firm has partnered with Abbeville to have the book released soon worldwide. It will be distributed by Abbeville in North America and by Perseus Books in Europe and the UK. Architecture of the Buddhist World is a projected six-volume series which proposes to bring to light the Buddhist customs and rituals and their local traditions across Asia. "The Golden Lands" is the first volume in the series which is devoted to Southeast Asia. This region of Asia is well-known for the most spectacular Buddhist monuments. This Buddhist Architecture Book is aptly divided into sections for elaborately highlighting the architectural renderings. Its general introduction refers to the early history of Buddhism and its articulate architectural forms comprising of the Stupa, the temple, and the monastery. The author has spun a well woven journey to depict the Buddhist architecture of Myanmar, Vietnam, Indonesia, Cambodia, Thailand, and Laos as it stood since centuries. The 3D architectural renderings in the book have made even the most complex structures easily understandable. It strives to bring all the architectural types in Asia within a single landscape of history, religion, and creative originality. The main sections of the comprises A Chronology of Selected Buddhist Monuments, The Theoretical Framework, Myanmar, Vietnam, Indonesia, Cambodia, Thailand and Laos. 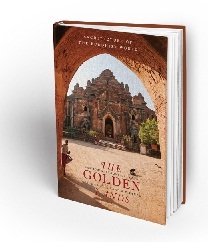 The list of the sites featured for the six countries in “The Golden Lands” are the regions of Myanmar, Vietnam, Indonesia, Cambodia, Thailand, and Laos. Before its September 2014 launch, readers can get a sneak peek of the book on specialized interactive platforms and social media sites. Readers can browse the Facebook page https://www.facebook.com/buddhist.architecture or visit the Twitter channel https://twitter.com/buddharchitect to gather updates and interesting facts about the site Buddhist Architecture. Many of the readers who have visited the http://architectureofbuddhism.com/ have been left truly inspired by the contents. As rightly quoted by the publicist Ms Meru: "There are such a lot of pieces of fascinating history and inspiring places when you start discovering the Buddhist architecture of Southeast Asia. We wanted to start sharing as much as possible via social media channels even before the book is released. The book itself is an innovative format, as it contains a lot of text explaining the architecture and history but it is large sized like a coffee table book in order to accommodate hundreds of new photographs and architectural diagrams."